My mother taught me the art of politeness. One of her lessons was how to turn down absurd offers and suggestions with an element of grace and tact. She was very skilled at this and over the years her advice has spared me some of the follies of social faux pas! However, I do live by a certain philosophy and that is to be open-minded and not close the door to any new possibilities or novelties that may come my way. It so happened that on one particular day my friend, Andrea, phoned to invite me to the home of a mutual friend. She wanted me to sample some products that our friend had recently put on the market. Toby is the founder of a line of frozen foods that are found in many of the major grocery stores across the Greater Toronto Area. 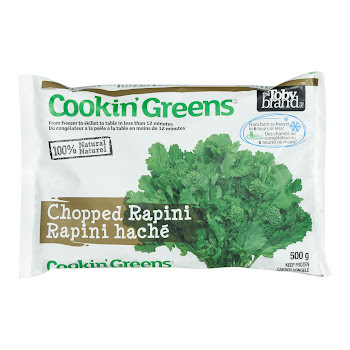 ‘Romina, she wants to cook Italian for us…using her Cookin’ Greens. I’m thinking that maybe you could write an article about it!’ Andrea told me told me enthusiastically. A Jewish woman, not having grown up in the heart of this culture, wanted to show me of all people, how to prepare Italian food using frozen produce, to boot! 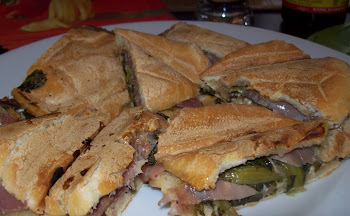 I had travelled all of Italy and had sampled some of the country’s finest delicacies. 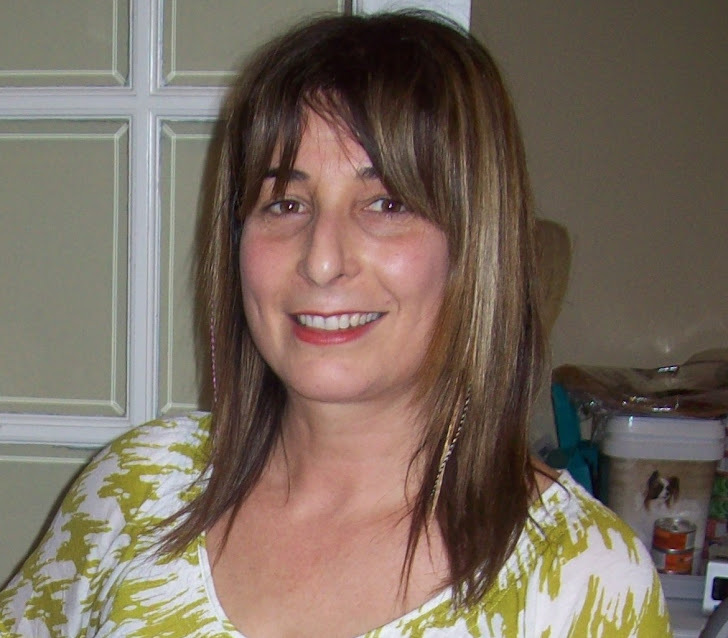 I had been employed at Savour York Region, a restaurant promotions company, and therefore had the opportunity to frequent some of the best Italian restaurants in my city. Frozen anything is a real taboo in my culture. Was she out of her mind?! I really didn’t know how to get out of this one. Putting ego aside, I decided to stick to my philosophy and said yes. 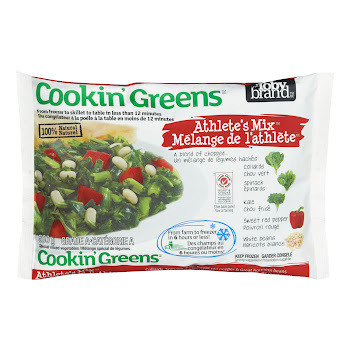 Toby Brand Cookin’ Greens are a line of frozen, dark-leafy green vegetables consisting of kale, spinach and rapini. 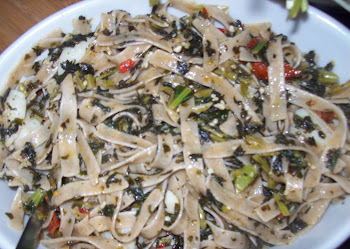 There are assorted packages available that include white and yellow beans as well as onions, collards and peppers, all in a blend. 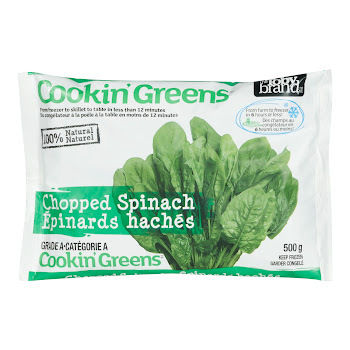 The greens are 100% natural and quick frozen which by definition means that the produce goes directly from farm to the freezer within six hours of harvest. They are extremely high in vitamins, minerals and fibre. Toby says her veggies don’t need any treatment as they are already pre-washed, chopped and as soon as you take them out of the freezer they are ready for cooking. Despite the superiority of this product in comparison to its contenders, I was still of the opinion that it would be difficult to replicate the quality of traditional Italian dishes using frozen vegetables. Nonetheless, on a Saturday afternoon, I found myself with Andrea in Toby’s kitchen. An organized individual to the bone, Toby had all the ingredients, pans and cooking utensils ready prior to our arrival. We were to assist her with the cooking. Toby excitedly began to fly from one end of the kitchen to the other. It was difficult to keep up with her but we managed. Arms waving in the air in gesture she described the dishes we were about to prepare with exuberant animation and passion. I had never seen her like this before and I was starting to wonder if Toby had been Italian in another lifetime. She reminded me of a Mama Bravo presenting on a cooking television program. 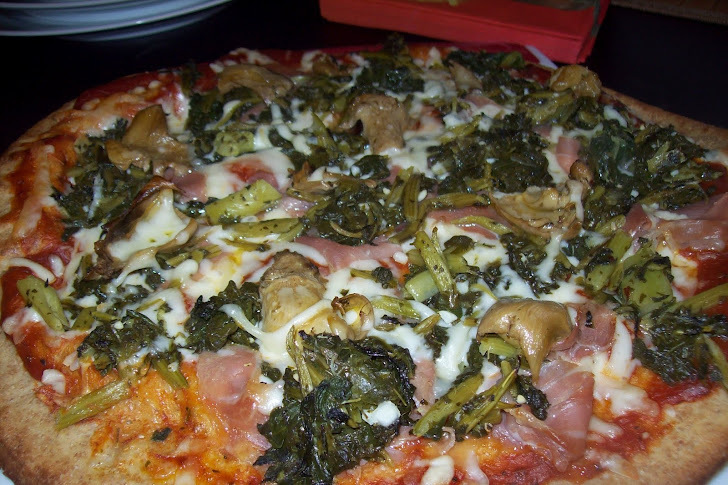 My task was to make the rapini pizza. I removed the Cookin’ Greens Rapini from the freezer and put them directly into a pan of searing olive oil, chopped garlic and sea salt to taste. A few minutes later I added the greens to the pizza that I had already sprinkled with olives, goat cheese, prosciutto and tomato sauce. I popped it in the oven and went to observe Andrea sautéing scallops for the Linguini con Spinaci. Toby, still in animated tutelage explained the creation of her polenta, oven-baked delicacy. Although not traditional, it was similar to lasagna. Instead of using sheets of dough she used polenta to layer the lasagna and in between these layers added Cookin’ Greens Kale, tomato and cheese. Toby also made egg frittata adding the Cookin’ Greens Spinach. We also prepared a non-Italian dish, perogies with the Designer’s Mix of spinach, collards, rapini, yellow beans and white onions. Much to my delight Toby had a panino press where I made sandwiches using assorted cheeses, prosciutto and the frozen produce. With a little vino at hand we finally sat down to eat. ‘You’re going to love this!’ Toby told us. No doubt all the dishes looked extremely appetizing. However, regardless of presentation, this was the true test. I sank my teeth into the pizza, the polenta lasagna, the linguini and all the other dishes I had prepared with my friends. As I savoured each morsel I found I could not speak to tell Toby how truly surprised and pleased I was. The contrast of the minerally leafy vegetables had blended beautifully with the light semi-sweetness of the doughs and cheeses. The light tasting greens complimented the sharpness of the other ingredients used such as olives, anchovies, prosciutto and the scallops. It was a palatable combination of rich, diverse and delectable flavours. The Toby Greens had indeed measured up to the taste and quality of freshness comparable to Nonna’s vegetable garden. It was as though all the aromas and flavours were exalting together in a culinary melody. My repast with friends had been a success. Toby sent me home with an enormous bag full of leftovers and products. I’ve stopped buying rapini and kale in the produce section of Garden Foods, my grocery store of choice, and instead venture to the frozen food section and pick up my weekly supply of Toby’s greens. 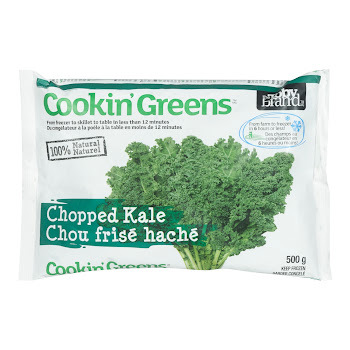 It’s more convenient, time effective and the nutritional element is parallel to fresh cut. 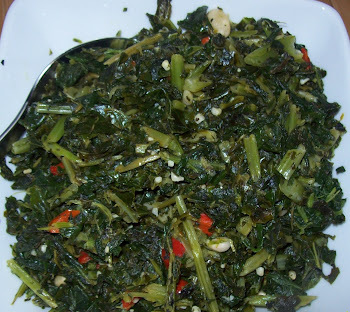 I include them as a side dish and also add the greens to traditional Italian dishes. Keeping your mind open to new ideas definitely can have its benefits.